60+ Days to Live, Breathe, & Write by Chelle Cordero ~ Due to demand and the overwhelming desire of her readers for more great information about being a successful and productive writer, Chelle Cordero and Vanilla Heart Publishing present 60+ Days to Live, Breathe, & Write – previously published as Living, Breathing, Writing, Volumes 1 and 2. 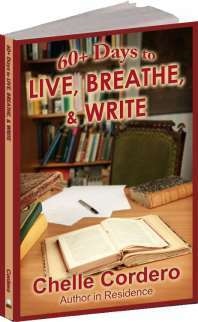 This combined collection gives both the aspiring writer and the accomplished writer two complete months of lessons about the craft of writing and being a writer, from time management to social networking, organizing queries to publication, the business of being a writer, and more. 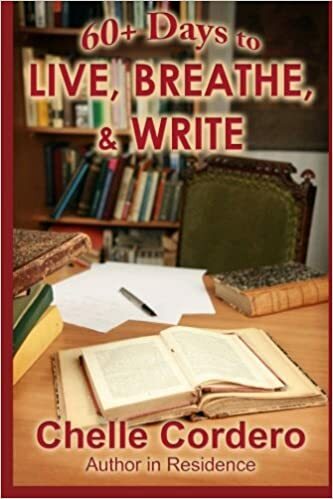 Includes more than 100 brain-starting exercises, business activities, and prompts to help you get those words on paper, and create your successful writing career. 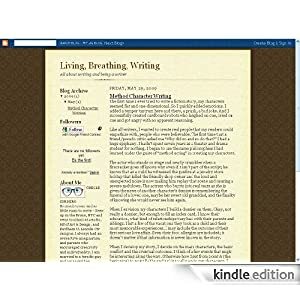 These short lessons and activities have been previously published as part of the acclaimed Amazon Kindle blog Living, Writing, Breathing available by subscription for Kindle owners, and consistently in the Top 100.